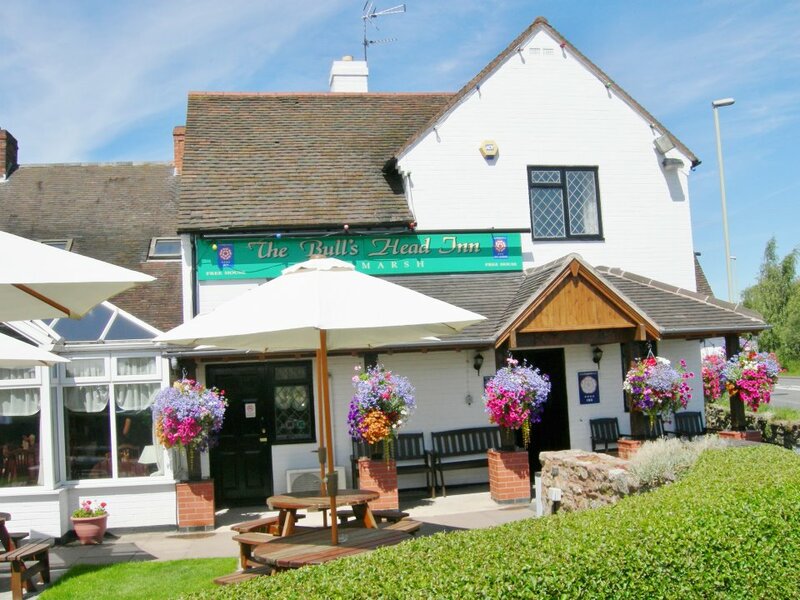 The Bull's Head is a superb, family owned, 18th century Country Inn, set amidst Shropshire's rolling hills, with stunning views over the Severn Valley, Clee Hills & Chelmarsh Reservoir. The 18th century Inn has many original features, including exposed beams, stonewalls and wood-burning fires in the bar areas and offers a combination of well appointed guest-rooms and self - catering accommodation (including ground-floor facilities for the disabled) excellent food, real ales & fine wines served from 12.00 noon throughout the day, all year. Live music, typically has become popular with residents and locals alike, and lends itself to the warm, welcoming and friendly atmosphere the ‘Bull’s Head’ generates, equally appealing in Summer or Winter. We offer a FREE pick up and drop off service for pre-booked diners on evenings and at weekends. Simply mention when booking your table that you require the service and we will arrange it. The service is available within a 5 mile radius of the Bull's Head including Bridgnorth, Highley, Billingsley, Eardington etc., subject to availability.